Losing LeBron is a feature-length documentary, admittedly a rather short one, that examines the impact of LeBron James's decision to leave the Cleveland Cavaliers for the Miami Heat. Instead of focusing its energy on James himself, Losing LeBron is far more directly about the impact of "The Decision," as it was called, and its impact on a city that in many ways had finally laid claim to its first sports superhero and was now left almost empty-handed once again. Co-directed by Nicole Hart and Allyson Sherlock, Losing LeBron is very much a film told from the fans' perspective, a perspective of widely varying opinions yet opinions that often reflect the sense of woundedness that was left following James's decision. While James has certainly cemented his legacy during his time in Miami, it's a potential argument that his real legacy, that of both a legendary player and a community's sports icon, may very well have been strengthened had he actually stayed in Cleveland. I think, for example, of Reggie Miller's decision to spend his entire career with the Indiana Pacers despite the obvious riches and potential championships that could have come with a late career move. Instead, Miller is truly a legend in Indiana. What Losing LeBron makes clear is that the loss of LeBron James was about far more than simply losing a basketball player - it was about the loss of community identity and the loss of self-esteem that came with losing its most familiar face. 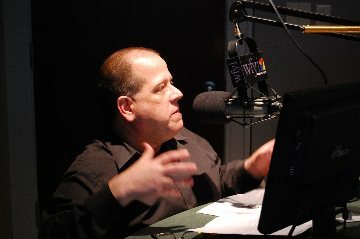 While there are times in Losing LeBron where the film moves too slowly, even for a film at a mere 57-minutes, the film is a powerful testimony on how sports impacts a community, both financially and psychologically, and it's a film that is surprisingly moving as Hart and Sherlock interview several of those who have been part of Cleveland's efforts to rise above the loss of LeBron and move forward. 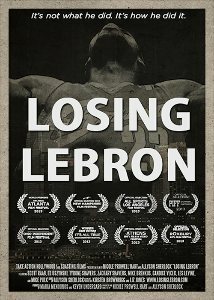 Losing LeBron is currently available on digital VOD and will hit Cable VOD on August 5th with Devolver Digital.